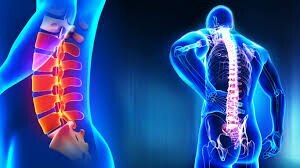 Home > Services > Non Invasive treatment for backache.Root blocks, Fascet blocks for Neuralgias(Nerve Pains).Physiotherapy & Rehabilitation.Spinal trauma management.Endoscopic Spine Surgery for slip discs.Microdiscectomy.Vertebroplasty / Kyphoplasty.Vesselplasty for spine fracture.Treatment for Spinal infections & tumours.MISS Spinal instrumentation & deformity surgery.Deformity correction for scoliosis, Kyphosis.Treatment for Osteoporosis. Non Invasive treatment for backache. Root blocks, Fascet blocks for Neuralgias(Nerve Pains). Physiotherapy & Rehabilitation. Spinal trauma management. Endoscopic Spine Surgery for slip discs. Microdiscectomy. Vertebroplasty / Kyphoplasty. Vesselplasty for spine fracture. Treatment for Spinal infections & tumours. MISS Spinal instrumentation & deformity surgery. Deformity correction for scoliosis, Kyphosis. Treatment for Osteoporosis.